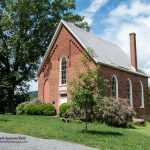 Fork Church is a historic Episcopal church located near Ashland in Hanover County, Virginia. Built in 1735, it was the second parish church of St. Martin’s Parish. The church was originally known as the Lower Church of St. Martin’s Parish but soon became known as Fork Church. This name is a reference to its location close to the confluence of the North Anna and South Anna Rivers which join to form the Pamunkey River. When Hanover County was formed in 1720, it contained St. Paul’s Parish. 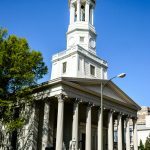 Six years later this parish was divided forming St. Martin’s Parish, named after St. Martin-in-the-Fields in London. There were two other churches built to serve the western part of the parish, Allen’s Creek and Hollowing Creek, but neither of these survive. The Slash Church of St. Paul’s Parish, a frame church from this era still stands. 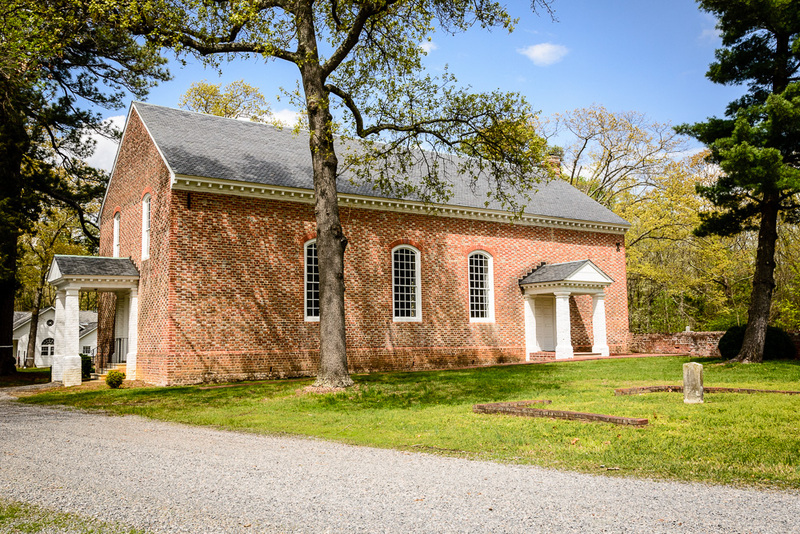 Fork Church is built in the traditional style of Virginia colonial churches. It is a simple rectangle without transepts. It has a front and side door and a simple gable roof. It measures 34-feet by 74-feet with walls 22-inches thick. 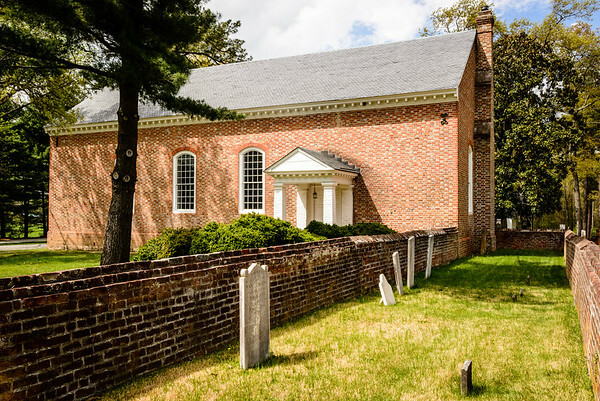 Tradition says that the bricks for many colonial churches, including Fork Church, were imported from England. This, though, has been disputed by many. Much of the original fabric survives on the inside of the church, although not in its original form. The colonial era high-backed pews were cut down in 1830 with portions of them incorporated into the present pews. The pulpit, also containing pieces from the original, was relocated during this renovation. The original gallery in the rear of the nave survives largely intact. The window frames and sash are little altered and retain much of their original glass. St. Martin’s parish still owns a beautiful communion service dating back to the early days of the parish. 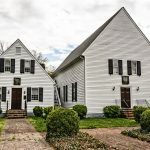 It is believed they were brought from England in 1759 by Thomas Nelson Jr., one of the signers of the Declaration of Independence, who had gone to England to receive a private education. 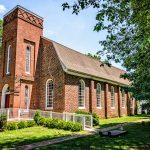 Other notable people associated with Fork Church include Patrick Henry, Dolly Madison and the novelist Thomas Nelson Page. From 1893 to 1903, Fork Church’s rector was the Reverend S. S. Hepburn, grandfather of actress Katharine Hepburn. Fork Church was added to the National Register of Historic Places in February 1970. Alongside the church is a walled post-colonial cemetery which is included in the listing. 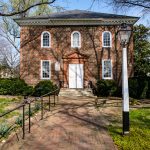 Fork Church is a historic brick colonial era Episcopal church. 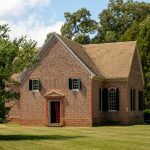 It was built in 1735 near Ashland in Hanover County, Virginia.